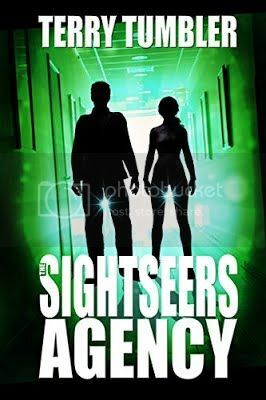 The first recruit to the new Sightseers Agency is a remote viewer who actively seeks the resolution of events threatening world security. Both his fledgling agency and that of The Deaduction Agency are members of The Dreadnought Collective. The term ‘Dreadnought’ is based on a type of battleship introduced in the early 20th century, larger and faster than ever before and equipped entirely with large-caliber guns. It applies in this instance because the cerebrally talented agents who enter its portals are expected to fear nobody and be scared by nothing in the performance of their duties. They pursue those who indulge in criminal and seditious activities in the modern meritocracy using unorthodox techniques. The Collective will embrace several types of Black Arts as it grows and faces unusual challenges. These once belonged to the realms of Science Fiction but are fast becoming a reality in the emerging new world. This is a series of Whodunits set in the future. The author, writing under the pseudonym Terry Tumbler, was born in the 1940s in the small province of Wales, in not-as-'Great'-as-it-once-was Britain. The adjoining photo of the real author has been air-brushed, so that the possibility of anyone stumbling upon his true identity will not disturb him, also believing that no one who reads his first book can possibly recognize him from the long gone days of his childhood. The first book, The Rough and Tumbles of Early Life, as you may be aware, is an accurate recollection of key events that occurred in his early life. Others of a similar, warped humor and semi-fictional nature have been produced and are being published. The author left full-time education with a higher level certificate in Business Studies, had a Commercial Apprenticeship in the Titanium Industry, and subsequently gained professional qualifications in Personnel Management and as a Company Secretary. He worked in all aspects of computing for over thirty years, during which time many reports of dubious value and two technical manuals were well-written and printed. Now retired, and a few months after moving abroad, the author was bemused to find his dear wife sitting alone on her tilting armchair weeping; the reason she gave was shock and horror at the prospect of spending her remaining years with him. Since then, he has done his best to behave himself, but she has still taken out a funeral plan on him. They have three grandchildren, none of whom much like to be with him for more than two weeks. Those who may wish to inflict retribution for his innocently evil behavior as a child, may well see through the flimsy disguise, but should know that the author now lives on alien shores and cares not one jot for their intentions.